With only two weeks away from the first test of Ashes series 2017 at the Gabba, Australia, the former England’s wicketkeeper Geraint Jones prepares the ground for the English team revolving the challenges before and on the pitch. “Playing in Australia, you know that you are going to hear them pretty much every ball, and pretty loudly. When you’re on strike, it’s your turn to get it. Thankfully for me, being in the middle, I couldn’t actually hear a lot compared to guys fielding on the boundary. But there’s no point trying to go up against 10,000 people in the crowd near. Your best option is to show that you’ve got a personality and that you’re out there enjoying it, playing a game you love” he adds. In this line, Jones explains that the biggest difference between an Ashes taking place in Australia and in England is related with the publicity. “It’s a bit harder in Australia with an Ashes series on because there’s so much publicity around it. You get a bit more attention walking down the street than you do on other tours”, he admits. 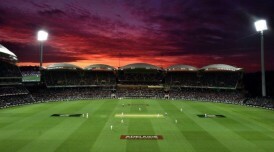 The first Ashes test is on 23-27 of November and the Australian team appears as the strong favourite to win this one. Jones commenting on England’s suggest to the players keep telling theirselves after a losss that “there will be one more opportunity and it’s more than likely going to come your way. Let’s be ready for it”.